Just two years prior, Henry Kissinger had negotiated the Paris Peace Accords which essentially solidified everything that the United States had been fighting for. North Vietnam agreed to accept South Vietnam’s existence while the United States promised to return if Hanoi did not honor the deal. It was an agreement both sides were destined to break. 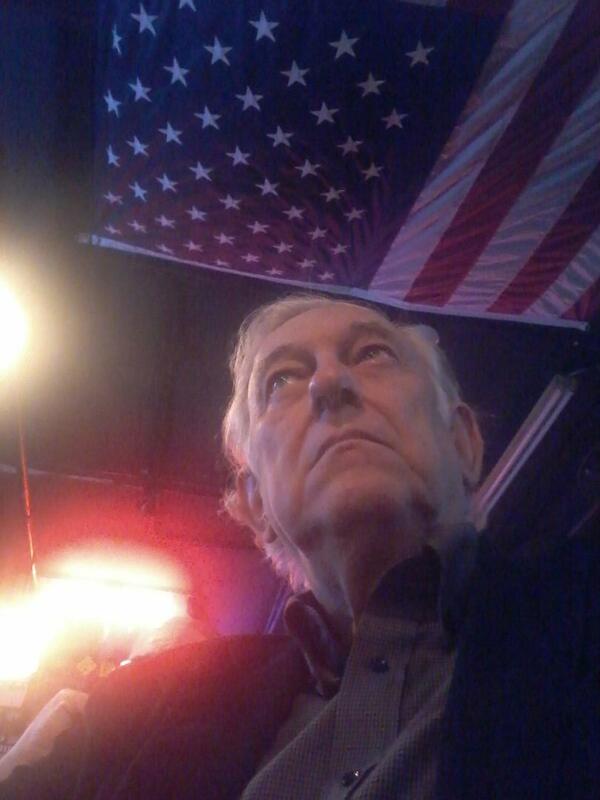 My comment: I served in Vietnam in 1968-1969 and still think the Vietnam war was a noble and just cause. 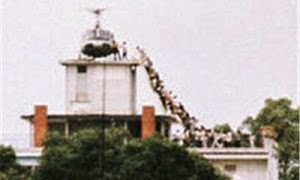 I remember watching on TV while Saigon fell in 1975 and I cried. I still feel like America and the ally we were protecting were stabbed in the back by "peace" activist at home. The war was winnable and our betrayal of South Vietnam was shameful. Unfortunately, our leaders were never committed to winning the war. Every time we were gaining an advantage, we would stop and pursue a negotiated settlement and let the enemy recover. While I have, for the most part, gotten over that phase of history and put that phase of my life as a young man behind me, I still feel anger at those who betrayed us. I still do not think those who fled to Canada should have ever been allowed to return home without paying a severe penalty. 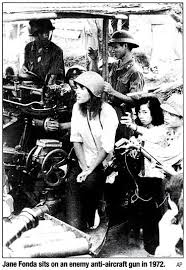 I would still have a good day if a deranged Vietnam vet assassinated Jane Fonda. 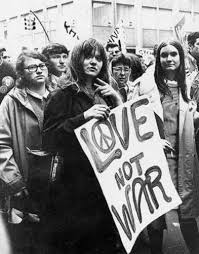 I still do not think the peace sign is just a hip symbol of the cool 60's or a fashion accessory; it is the banner under which those who wanted a Communist victory marched. I still resent portrayals of that period which assume everyone was getting high and it was a fun time to engage in a little harmless revolution at home. The war was not lost in the delta and jungle of Vietnam but was lost on college campuses and the streets of America. The betrayal of South Vietnam and the betrayal of those who served in Vietnam is a still a disgrace and a blot on our nation's honor.